So, how did we end up with THE MIKE HARRIS TROPHY? 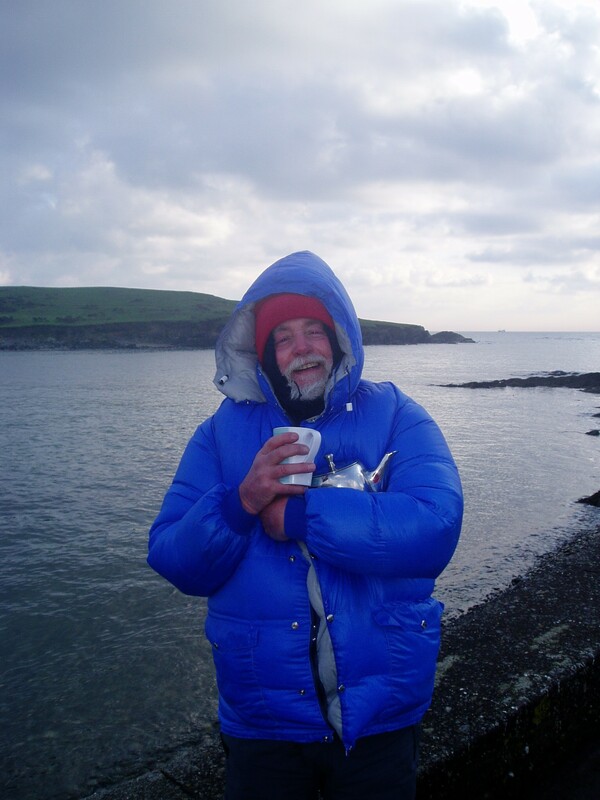 Mike arrived in Cork, as a Doctor, with a reasonable background in outdoor sports. At medical school in St. Andrews he joined in the pier diving, sea bathing, inner harbour waterpolo society and the occasional Sunday sprint across the snow covered west sands. Once a respectable House Doctor in Dundee in the late 1960s, Mike joined Ye Amphibious Ancients Bathing Society. The annual swim was the 9 miles from Invergowrie to Broughty. In the 1970s Mike was at Brompton Hospital in London and a regular at the famous Serpentine Club in Hyde Park. Cork benefited from his move over in the 1980s where he participated in Masters Swimming and triathlons. Real, consistent open water “distance” swimming didn’t really catch on until the late 1990s. Then it was Mike, Steve Black and Imelda Lynch (plus the odd visitor) swimming round Sandycove Island. In the first year the three logged a combined total of 201 laps – which was massive at the time! Mike kept up the pace of 60 to 120 laps annually while joining every other local swim: from 1.1k to Glandore to 8k from Portmagee to Knightstown. He journeyed afar as well taking in the famous swims: Alcatraz, Robben Island and Hellespont. Other trips with Swimtrek and back to Scotland were simply holidays with a dip. By 2005, Mike’s health was poor and his joints were giving out. 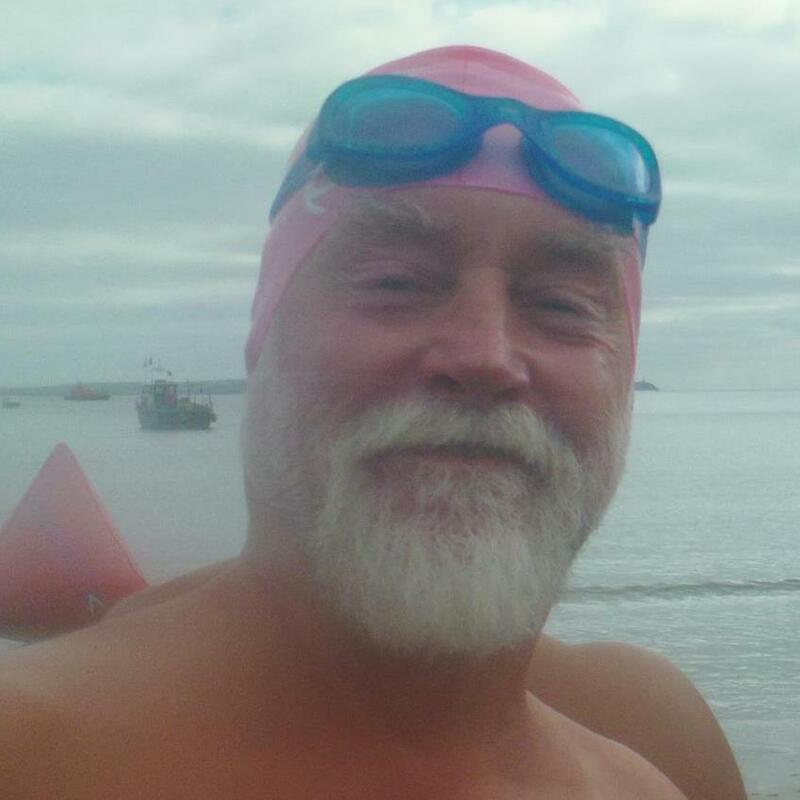 Before he become fully the bionic pensioner (metal hips and knees), it was decided to honour his massive contribution to Cork open water swimming. So, more than 20 swimmers bunked off work on a Thursday in December and surprised Mike for his birthday lap around Sandycove Island. The following letter was delivered and the magnificent trophy unveiled over a hot lunch. A group will join your birthday swim and lunch to congratulate you on your record breaking year. Even for this key date you didn’t stick to the agreed plan to do your 100th Island lap in 2005 – you just had to overachieve, again!! 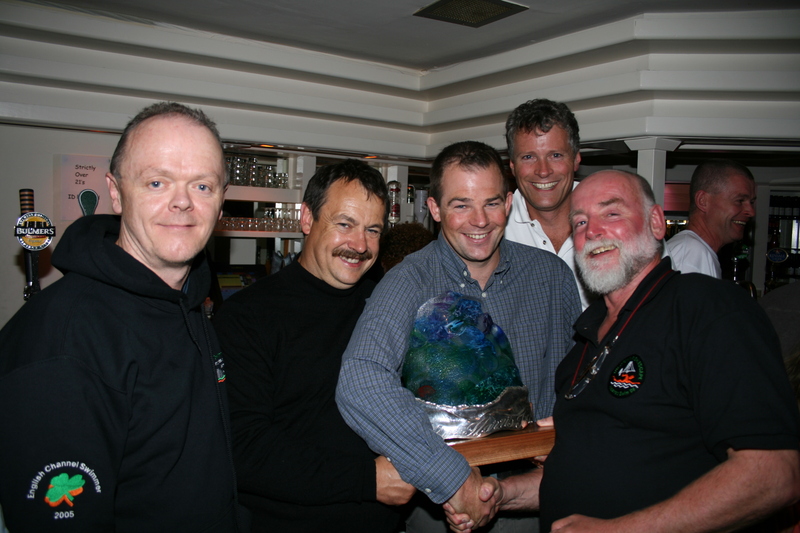 To capture our respect in a more permanent way we have taken the liberty of commissioning a Mike Harris Perpetual Trophy for the Annual Sandycove Island Challenge. Please enjoy it and guard it well these next months and we look forward to a spirited defence in 2006.